I think I’ve found a match here. 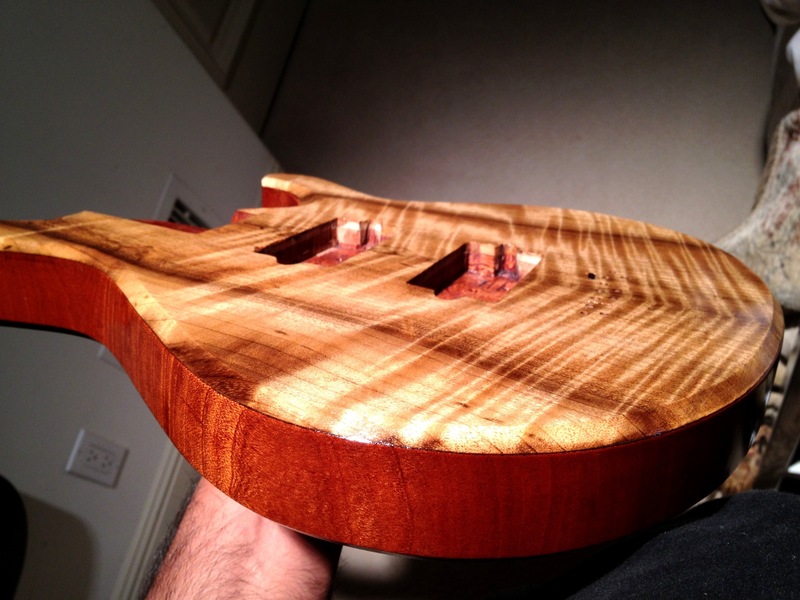 Teak oil darkened the roasted maple top to the point where the figure was barely noticeable. Tru oil darkens a bit but makes the golden highlights pop! Intriguing title right? 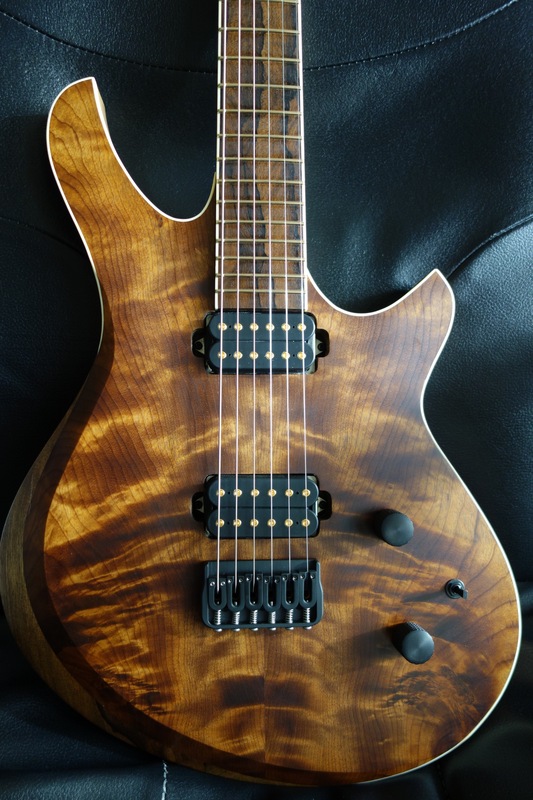 I figured since this guitar was literally all different shades of brown, Chewbacca would be a fitting name; not to mention it’s gonna sound like a beast. So I took some more pictures of the neck and fretboard. Gonna have to plane down a piece for the right ear of the headstock….